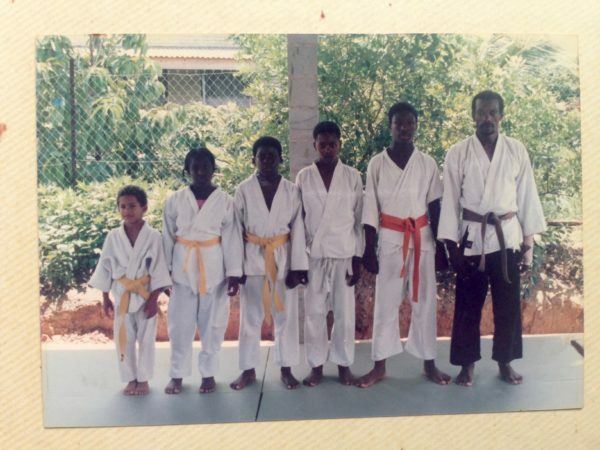 Sensei Robbie was first introduced to Kodokan Judo in 1986 at Butokukai Judo Ryu at 94 Friar Drive, Phase II Central, Bon Air Gardens, Arouca, Trinidad and Tobago under the tutelage of Sensei Richard Vernette. For seven years under his guidance Sensei Robbie was afforded a solid judo foundation which served him well in forging a very fruitful competition career. After grading for his black belt in 2000 under Sensei Noel Le Hecho, then 6th Dan, a thirst for refined knowledge was awakened and Sensei Robbie began his research. In 2004 Sensei Founded Muga Mushin Judo School with the aim of firstly preserving the essence of judo while still affording judoka the option to aspire to their Olympic dreams. Also in 2004 he was selected to attend a 6 month International Trainers Course (ITK) in Judo at Leipzig University in Germany where he studied Judo, Olympic Judo, sport psychology, sport science, sport pedagogy, sport medicine and combat sports theory. It was here that Sensei Robbie was introduced to the Kawaeshi categorization of nage waza, a principle centered approach to Judo and was able to train at one of the Olympic training centers in Germany. Sensei Robbie adopts a principle centered approach to teaching judo and firmly believes that teaching judoka a technique only gives them one option. However, teaching them a principle opens their minds to unlimited possibilities. 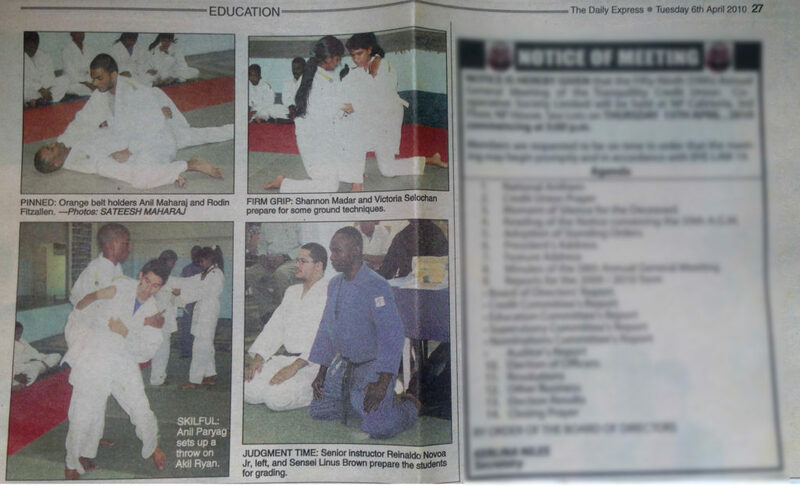 1986 Started Practising Kodokan Judo under Sensei Richard Vernette at Butokukai Judo Ryu at 94 Friar Drive, Phase II Central, Bon Air Gardens~ Arouca. 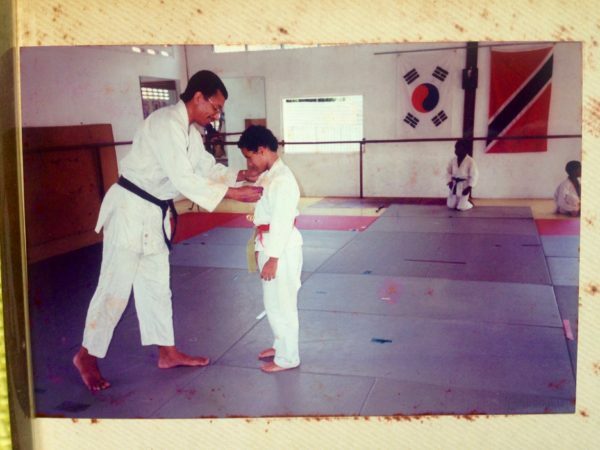 June 14th 1987 – Graded Yellow Belt. May 27th 1988 – Graded Orange Belt. November 6th 1988 – Graded Green Belt. June 20th 1994 – International Olympic Tournament – 1st Place – (Mug) (Also executed the “Most Spectacular Throw” of the Tournament, Morote Seoinage). 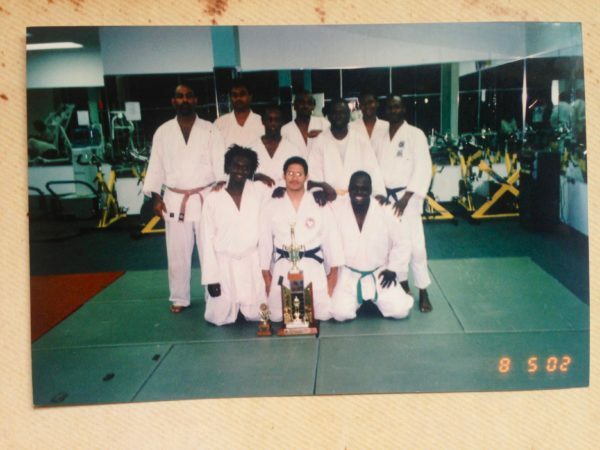 August 1994 – Due to close of Butokukai Judo Ryu started Training under Sensei Robert Rollock at the Olympic Martial Arts Centre, 22 Belle Smythe Street Woodbrook, Port of Spain. October 23rd 1994 – Barbados Independence Tournament – 2nd (Trophy). June 10th 1995 – National championships – 1st (Gold Medal). July 15th 1995 International Tournament 1st (Trophy). December 2nd 1995 – Barbados Independence Tournament – 3rd (Trophy). June 8th 1996 – National Tournament – No one else in weight category Competed in Senior Category – 3rd (Trophy). 1997 – Did not compete because of CXC Exams. March 26th 1999 – Secondary Schools boys open Category – 1st (Blue Ribbon). 1999 – Graded Brown Belt. 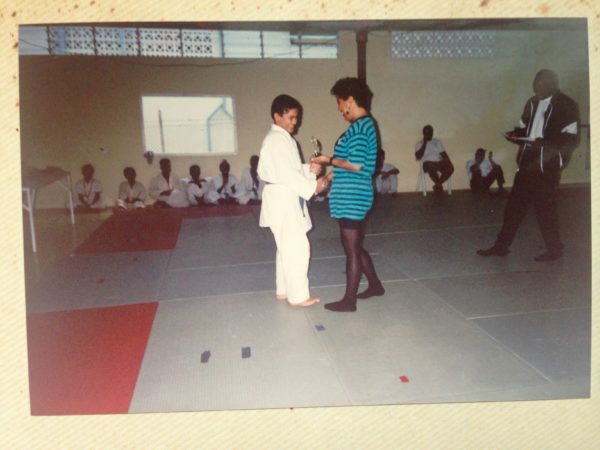 August 7th 1999 – Bishops Anstey Tournament – Open Category – 1st (No Award).